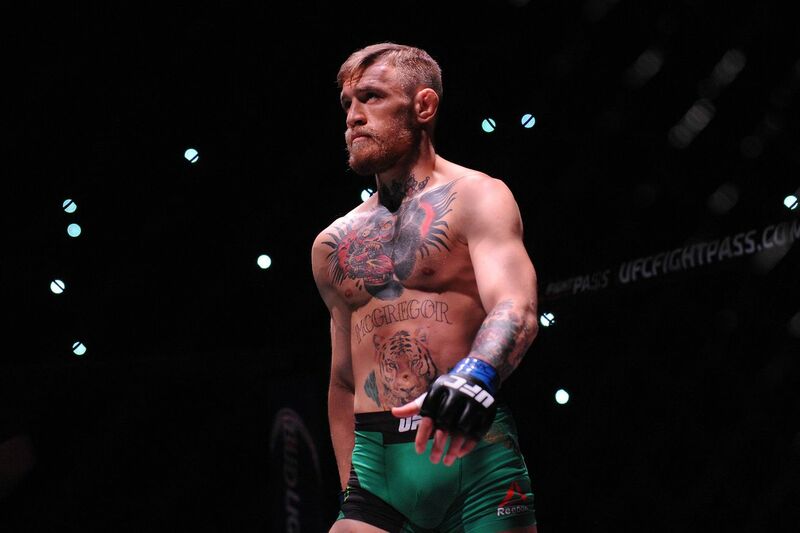 The story has yet to be written on Conor McGregor. Despite losing to Nate Diaz via second-round submission back at UFC 196, the current Ultimate Fighting Championship (UFC) Featherweight champion remains one of the most highly touted fighters in all of mixed martial arts (MMA). Chalk it up to McGregor’s loyal fanbase, continuous microphone chirping and UFC’s undying promotional efforts to rebuild the Irishman’s aura of invincibility. As McGregor gears up for his rematch with Diaz at UFC 202 on Aug. 20 from Las Vegas, Nevada, his coaching staff and interchanging sparring partners will help solve the many issues the 145-pound king experienced against the rangy striker the first time around. According to McGregor’s head coach, John Kavanagh, the MMA megastar has already begun a vastly different training camp in order to right his wrong. While many people believe that McGregor, 28, needs to defend his 145-pound title before his legacy in the sport is solidified, Kavanagh believes Diaz holds the key to McGregor’s everlasting greatness.